Educational Qualification: Candidates should have passed 10+2/ Any Degree, B.E./B.Tech/ Diploma (Engg) from a recognized board/university with Relevant Experience. Age Limit (as on 01-04-2019): Maximum 42 years(Check official notification below). 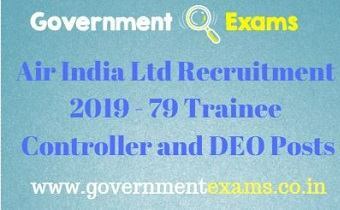 Click here to view official notification: Air India Ltd Recruitment 2019 official notification.